Life is a roller coaster ride, that everyone has to take and cannot barter it with anything or anyone. Everyone here is fighting an individual battle with their life, these battles are not always about survival, but mere existence rather peaceful existence. Survival is a process, if you create a beautiful existence for yourself, you are hailed at all fronts. Some in the quest to create that beautiful existence, put their struggle at the stake of others life too. Can we call them selfish? Well, that has to be very situational, however, what should be of more concern is the consequence of such steps. How you control the roller coaster ride of your life, is up to you, your willpower, your understanding of life, your skills and the relationships, at level levels, that you have made, discarded or somehow maintained. I recently read Blood In The Paradise - A Tale Of An Impossible Murder, written by author Madhav Mahidhar. As you can already guess from the book's tagline that it is a thriller story revolving around a murder. 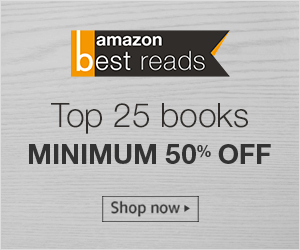 Set in the metro city of Bangalore, the story of the book is about the struggle that one of the lead characters of the book, Madhumita, has against the life that she is leading at her personal front and with a thought through decision, she also plans to get rid of it. The story of Blood In The Paradise - A Tale Of An Impossible Murder starts with Madhumita making up her mind to commit a suicide and get rid of the problems in her life in an instant and liberate herself from the roller coaster of problems. She chooses to consume cyanide to get rid of her life and somehow manages to source the same and as planned, she attempts a suicide leaving behind her two daughters and husband. Vikas, Madhumita's husband, who takes her to the hospital is found dead but Madhumita somehow survives. The Police investigation starts and DCP Vishwaroop comes into the picture, who is known for his honesty, integrity, intelligence and very sharp presence of mind while solving cases. And as Madhumita recovers and the investigation moves ahead, new characters and chapters unfold, making the book, Blood In The Paradise - A Tale Of An Impossible Murder, more impressive. Did Vikas commit suicide, why did he do so? Was he killed? Who killed him? That's for the readers to find out. 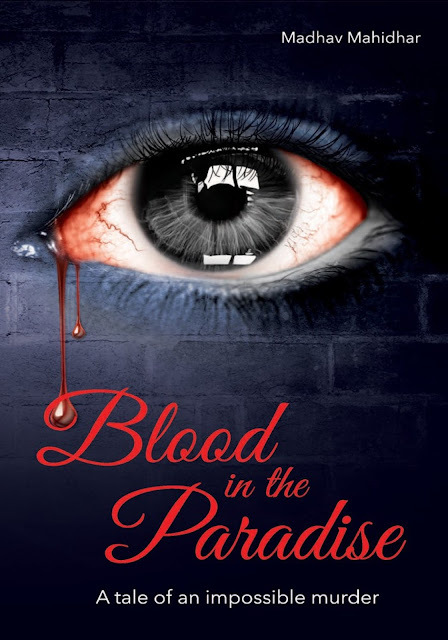 The efforts taken to create the settings in Blood In The Paradise - A Tale Of An Impossible Murder by the author should be appreciated and the scenes appear very real in terms of their detailing to the core of correctness, for example the legal trails and the interrogation questions. However, I found the story stretched in places and could have 10-12 pages shorter easily. The narration of the story, Blood In The Paradise - A Tale Of An Impossible Murder, is good, but the end is a bit predictable and dramatic unlike the entire story which is more realistic full of thrillers and cliche free situation. The book is not conclusive, it is of more of realization, the story is not about finding the truth, but about proving it. Blood In The Paradise - A Tale Of An Impossible Murder is a good read and I would recommend it to anyone interested in reading fictional thrillers. You can order a copy of the book from Amazon Kindle / Amazon and Flipkart.